I love how much zombies have impacted on pop culture recently and one of the reasons I love this is because of the range of zombie costumes now available. If you want to buy a costume as opposed to making your own the selection only a few years ago was very small, now it’s amazing. 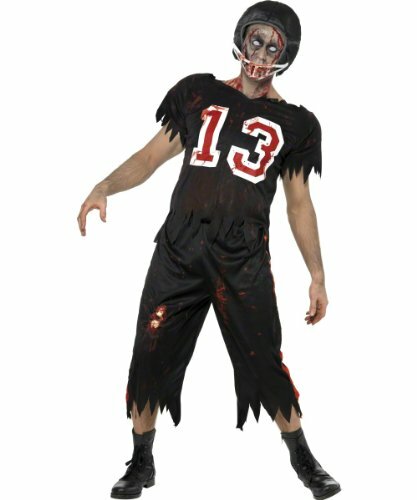 I’ve selected some of the men’s costumes that I think are the best so whether you’re shopping for Halloween, a Zombie Walk or you just want to look like a zombie then I’m sure you’ll enjoy these cool outfits. Relive your ‘glory days’ with a zombie football player or go back in time to become a zombie gladiator, it’s a case of anything goes when it comes to zombie costumes! An Undead Roman Can’t Be Beaten! A Roman Gladiator who becomes a zombie, surely that means he really is unstoppable? Not only is he strong, he no longer feels pain and just keeps going. Unfortunately he probably doesn’t even remember who he is or even who he’s supposed to be defeating, all he wants is more brains!! Star Wars is Now Zombie Wars! This costume includes the jumpsuit with attached armor as well as a two pieced mask and a belt. I think it looks sensational and as a bonus you just need to put this on and you’re done. No need to worry about hair or make up which will save you a lot of time and mean you’re ready to get your zombie on in plenty of time! I think this costume is a really cool concept. The poor guy hasn’t had a chance to finish living his ‘glory days’ before he was infected by a zombie, but at least he won’t have to keep re-living them as the best days of his life!! Could you imagine a whole team of zombies playing football …… maybe if the football was a brain they’d be more interested, what do you think? 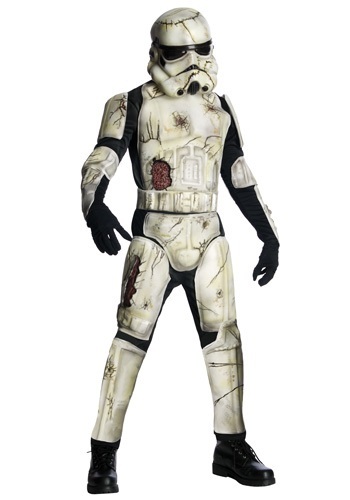 This costume consists of three pieces – helmet, shirt and pants. You’ll need to add face paint to make your eyes really dark and decide on what footwear to add to it. This Zombie Has Taken Holy Orders! A monks costume is what my husband always refers to as a very ‘forgiving’ costume which some people will appreciate. 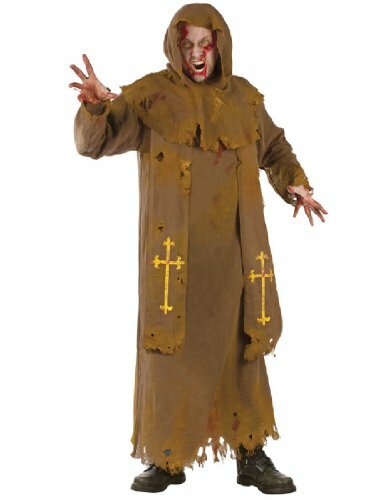 This very tatty looking robe comes with a hood which means you don’t have to worry about a wig or doing something zombie like with your hair (always a bonus!). The costume also includes a shoulder stole which has the cool cross details on it. Just stay away from the Holy Water as I’m not sure what it will do to a zombie, I know it burns vampires….. This entry was posted in Costumes, Men's Costumes and tagged zombie costume ideas by Lou. Bookmark the permalink.